The Chinese manufacturer OnePlus is all set to release its latest flagship phone -the OnePlus 6 by the end of second quarter this year. The massively hyped phone, OnePlus 6 has gone through a series of leaks which has left little for the imagination as almost all the features are already known to the fans of the brand. 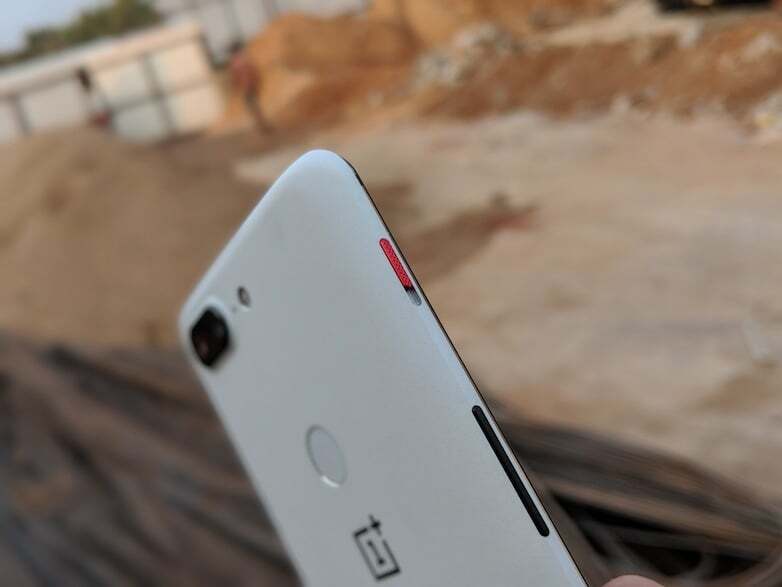 However, today the officials of the company took to Twitter and teased the followers with a camera-related feature which is something pretty new to the users of OnePlus. This latest feature will allow the users to tweak the alert slider’s functions and expand its functionality from changing ringing modes to a larger application in the camera app. The tweet can also be seen hinting the followers about a twitch regarding the naming scheme of the latest OnePlus phone. This latest feature of the alert slider has been described as “Slide to focus with the Alert Slider” by the company account on Social Media. However, given that OnePlus doesn’t like its users to be restricted within the provisions of the OS, it is being speculated that the company will allow the users to disable this function if need be. The wide array of customizable features which accompany the OxygenOS will help the OnePlus 6 achieve this. Previously the alert slider was just being used to switch between the modes of Do Not Disturb, Ring, and Silent. It is also being said that OnePlus might also roll out updates to previous devices like the OnePlus 5 and the OnePlus 5T to extend a similar alert slider functionality to these phones also. OnePlus has already suffered one blow from a leak which revealed that the phone will consist of a front-facing notch, much like the iPhone X and will come with a Qualcomm Snapdragon 845 SoC, a 3.5mm headphone jack, and up to 256GB inbuilt storage. This flagship by OnePlus will run Android Oreo out of the box and might also come with 8GB RAM supporting the phone along with the popular Oxygen OS. Talking about the prices of the phone, it is being rumoured that the OnePlus 6 will be a step ahead in terms of pricing when compared to its predecessor. Also, unlike last time, in this launch OnePlus is coming up with three variants to the OnePlus 6 – 64GB, 128GB and 256GB internal storage options. The 64GB variant of the handset comes at the cost of CNY 3,299 (roughly Rs 34,200), the 128GB model at CNY 3,799 (roughly Rs 39,300), lastly, the 256GB model will come at the price point of CNY 4,399 (roughly Rs 45,600). Smartphone launches in India are very heavily influenced by fluctuations in prices, with a higher price tag and fashioning a notch, the OnePlus 6 remains a mystery from the market perspective until its launch. Let us know in the comments what do you think about the new alert slider function.